Being involved in a student group or organization gives you much more than a line on your résumé—it allows you to experience more community, more personal and professional growth, and more connections that will help you throughout your future endeavors. 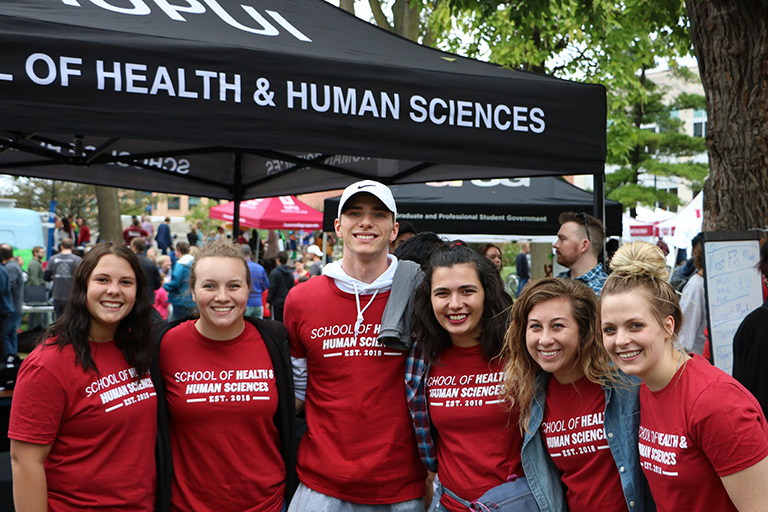 You'll find plenty of opportunities to get involved in student groups at the School of Health & Human Sciences. From department-specific or school-wide organizations to groups with common passions for dance or social media, you're sure to find an organization that suits you. These three school-wide, student groups allow you the chance to expand your network across departments of the school and build lasting friendships with fellow SHHS students. A national honor society for professional students in the occupational therapy department. An organization for professional students in the occupational therapy department with an interest in community engagement. A partnership between students in the physical therapy program and engineering program at IUPUI to modify electronic ride-on vehicles to meet children's specific physical therapy goals. An organization for professional students in the physical therapy department. The official student body of students in the physician assistant studies department.